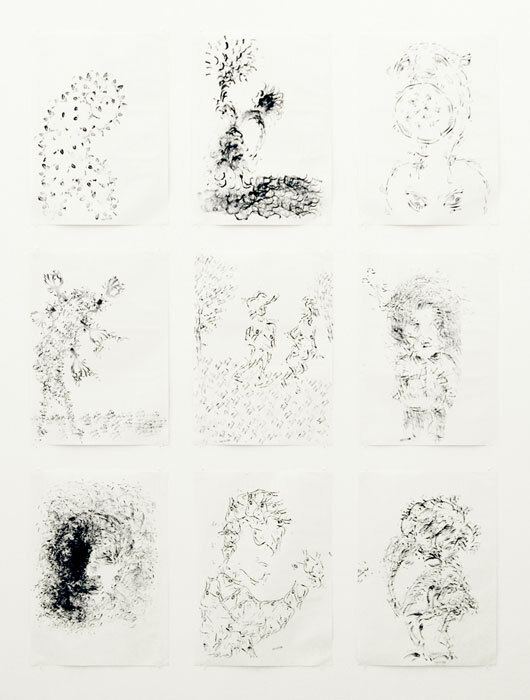 Martos Gallery is pleased to present Day to-day, a group exhibition curated by Anne Couillaud. 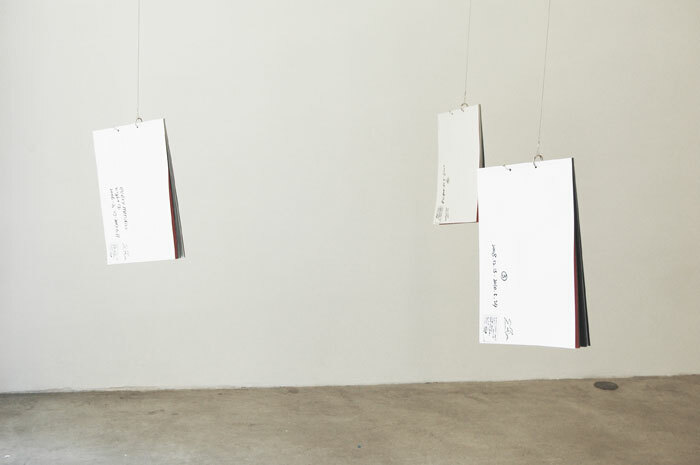 This exhibition gathers artists who incorporate the time dimension into their daily practice. Each artist connects to different types of time in very different ways. The cycle of nature and the time of the world are independent from us: the time of nature, that does not need human beings to exist – it just goes through us, through things; the cultural time is a creation of another temporality to break the irreversible process of time. Finally, we have the time of inner awareness: which is the starting point of all the temporalities. This time only needs oneself to exist. Time is both tension and scansion, rhythm and flux, continuity and discontinuity, and also repetition: All of which is translated in the artists' works. They translate the richness (or not) of the time we live: these artists reveal the coexistence of different temporalities. The works presented sometimes also expose practices that are "interstitial", a piece made for instance while the artist was traveling, or practices that are an exercise: works that are rarely shown because they embed moments and works that open and disrupt in a way their "sealed work in progress". The artists share with us their intimate relationship with time and their intimate understanding of time passing. They often submit the work (and themselves) to the day-to-day constraint. But simultaneously, they produce their own time. And by doing so, they subdue time. Like Cezanne when he was sinking in the Sainte-Victoire, the artists, through repetition, simultaneously display a death and a life wish. Through repetition, obsession, meditation, they magnify, intensify and reveal a vital necessity, letting us witness at its closest the existential dimension of their Oeuvre. Over four years, Ben Berlow saved his lunch bags as well as envelopes mailed to the gallery he was working for. 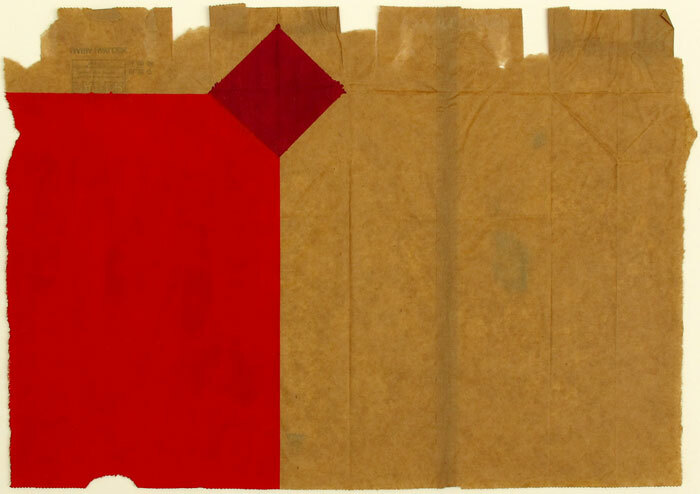 These recycled pieces of paper became the surfaces he would paint on every night after long days of work: each bears a simple, beautiful abstract shape traced with acrylic paint, often guided by the paper's wrinkles and folds that convene both Blinky Palermo and Richard Tuttle. These beautiful simple works are the reflection of a certain moment in the artist's life where we see the collusion of his everyday life, his practice as an artist, and the material of his work. 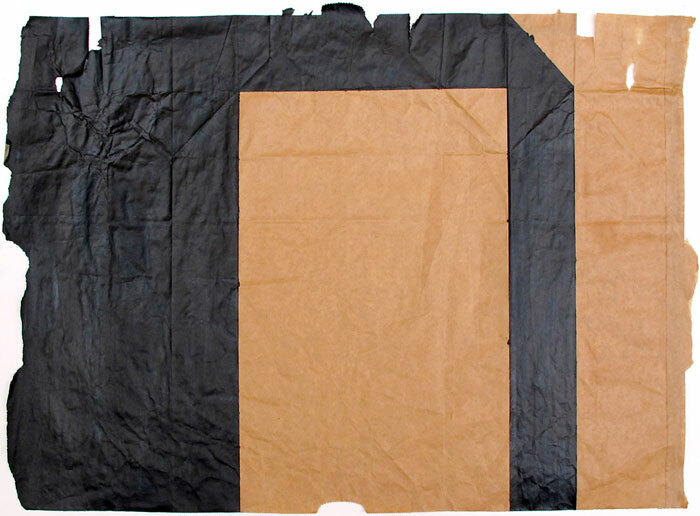 His subjective time penetrates this body of work in the largest sense possible, revealing a beauty and despair through the use and recycling of everyday wrapping material for his everyday practice. Nancy Brooks Brody’s sun graphs are the day-to-day recording of the minutes of daylight from sunrise to sunset (1440 minutes in a day) during time spent alone in the woods of New Hampshire in the spring of 2005. On May 1st, 836 minutes occurred between sunrise and sunset; by May 30th, there were 892 minutes. The colors she used in those drawings -watercolors- reveal the light, the sky, the flowers, the grass that surrounded her. This practice became grounding each day as the sun was coming down and moving into night. It also nurtured her continuing questions regarding light and color, which is also evident in her recent paintings. Masaya Chiba executes one drawing or painting every Monday night on a canvas or a piece of paper of the same object (one that he built himself with a piece of wood). His Every Monday night series is always presented reproduced on sketchbooks that are hanging from the ceiling, accessible to viewers. Chiba, a talented painter, has developed a non-traditional approach to painting. He arrives at unique forms through original processes: In the past, he had, for instance, depicted love scenes in total darkness, using only his imagination. With the Every Monday night series, he brings us closer to the emotions, rythm and interest that fuel his paintings. At the same time, through the repetition he admits his will to " gain an understanding of how to treat images", in the largest sense possible. In her Things to remember series, Stephanie Diamond records moments, experiences and details that catch her eye. It is a part of her practice that is very much “diaristic”: not a daily practice per se, she documents everything in her life in this specific project. It is her desire to share stories and experiences with the viewer as if they were there with her when she captured the moment. In her photograph Things to Remember (Margie's Backyard), she captures the moment before a Seder, a Jewish ritual dinner, as family members are returning from a backyard tour. It is an unmomentous albeit specific moment. Diamond relates to time in her own way as she attempts to concentrate memory and personal history in a single image. Compellingly, despite a brief explanation of the original circumstance, the image still retains a certain mystery. Julien Gardair, inspired by Keith Haring’s use of date stamps to mark his work, started a daily artistic practice in late 2008. With rubber stamps he carves himself, he creates images in a very rhythmic yet spontaneous way, using only one stamp per drawing. The stamps themselves usually represent recognizable forms such as eyes or flowers. 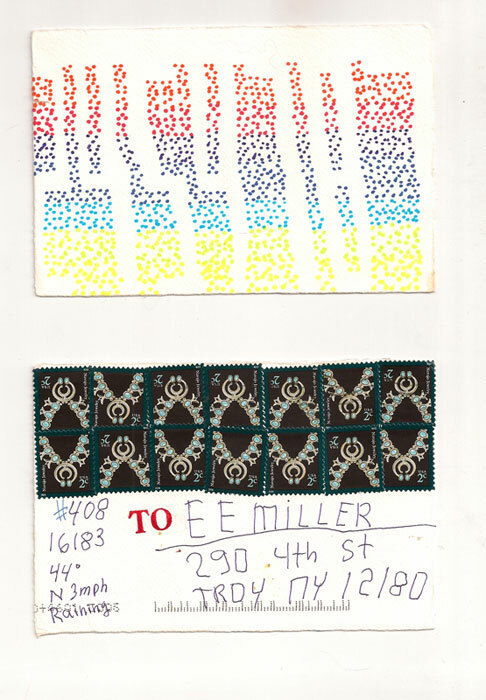 He uses the constraint of the stamps to gain freedom, to liberate his gesture, to broaden the scope of his very prolific practice as a painter and installation artist. Through this specific technique, he creates figures, animals, and surprisingly grotesque shapes. In his work, "Forms grow free in drawings, live their transformations in animations and invent absurd subjects in paintings". In these stamp drawings, emptiness balances fullness. Here, the date stamps become a signature, and we have a sense of the artist's practice where humor, instinct and vision are at play. Xylor Jane translates her meticulous way of painting and interest in grid, colors and numbers on postcards that she sends out to friends and colleagues every day. This daily project is called the today show. 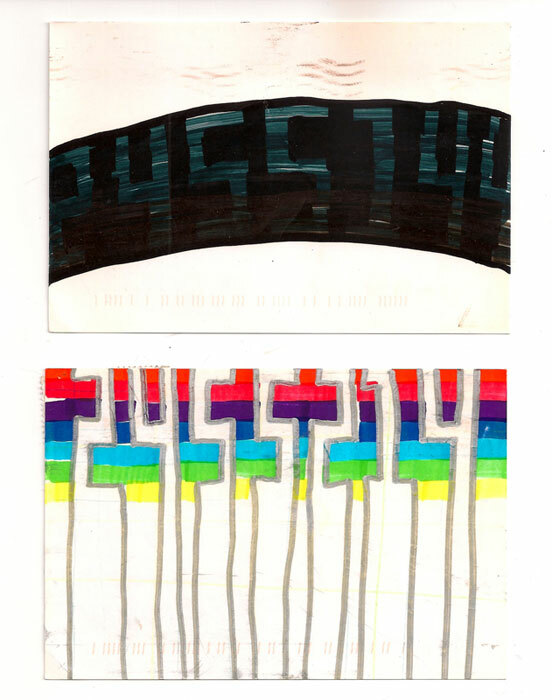 With bright colored markers, she draws the 7 digit Julian Day number on the front of postcards. The information appearing on the back varies each day: it might include the number of days she has been alive, or the numbers of days since Barack Obama has been alive (he is 869 days older than her), the number of days of the war in Iraq, the temperature, the time of sunrise and sunset, her countdown. Both in her paintings and postcards, Jane records time and simultaneously engages herself in a meditative process. In the today show, time seems more intimate, the pace is different and it reveals multiple truths. She reaches out, opening a dialogue and making the recipient of the card aware of her personal experience of time. During his residency at Villa Kujoyama in Kyoto in 2008, Guillaume Leingre sent the same postcard (with Hokusai's well-known wave) everyday from a different mailbox to his home in Paris. On each postcard he wrote down a brief description of his immediate environment at the time. The work is presented in a series of frames, each one including the mailboxes' photograph along with the postcards associated with them. This body of work entitled 216 Fois Hokusai is about displacement and geography. It was a way for the artist to find his way (in the largest sense possible) through the cities he was discovering: Kyoto, Osaka and Tokyo. This collusion of time and space reminds us On Kawara who naturally was in the artist's mind. While carefully recording the present moment in an incongruous act, Leingre generated an instant memory that could be re-activated upon his arrival home. For the past forty-five years, Roman Opalka has dedicated himself to painting "time": He has been painting a sequence of numbers to represent the progression of time. In his words, "Time as we live it and as we create it and its role in our progressive disappearance, being at once living and in the face of death - that is the mystery of all living beings. This inevitable disappearance is an extension, an opening which broadens our experiences without diminishing its joy, but always with the omnipresent idea of nature". 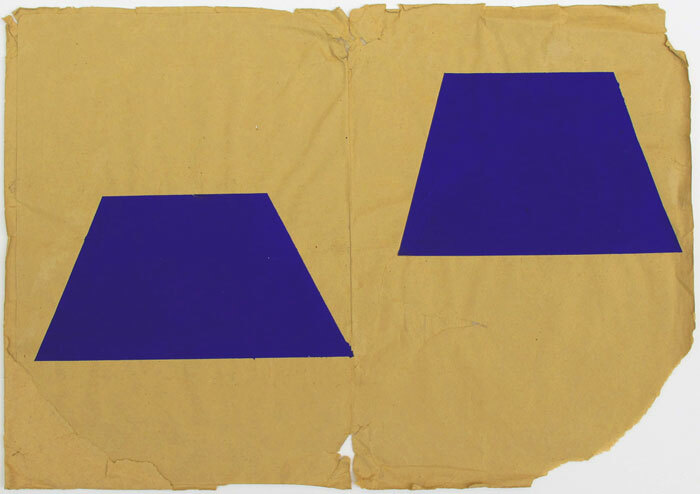 He has spent more than half his life on a single work entitled Opalka 1965/1-∞. This single concept, a life commitment, values the permanent over the fleeting and sees art, life and thought coincide and slowly disappear. 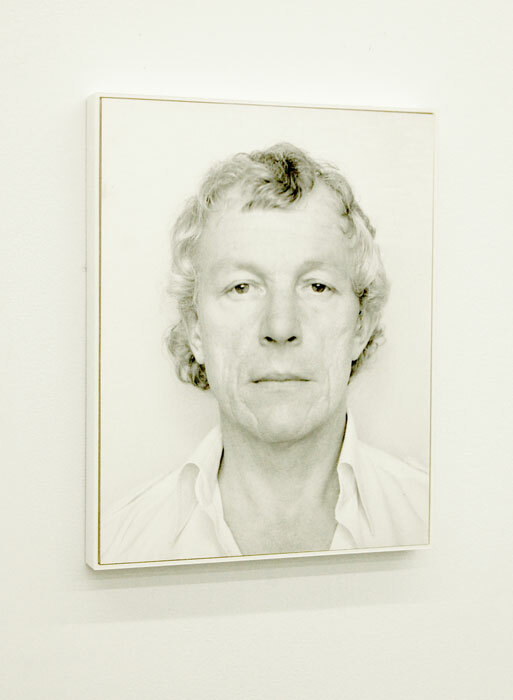 In 1968, Opalka started photographing himself after each painting session. Since then he has been taking what he calls photo-detail(s) of himself, in the same position, the same light and the same shirt, revealing how poignantly he is engaged physically and morally in his monumental task. The image retains the exhaustion. And although photographs, as Barthes argues in Camera Lucida, induce death while willing to preserve life, here it seems to affirm, regardless, a life will. From 1994 to 2004, Danica Phelps, an obsessive bookkeeper of her own life, marked down everything she did and spent money on. 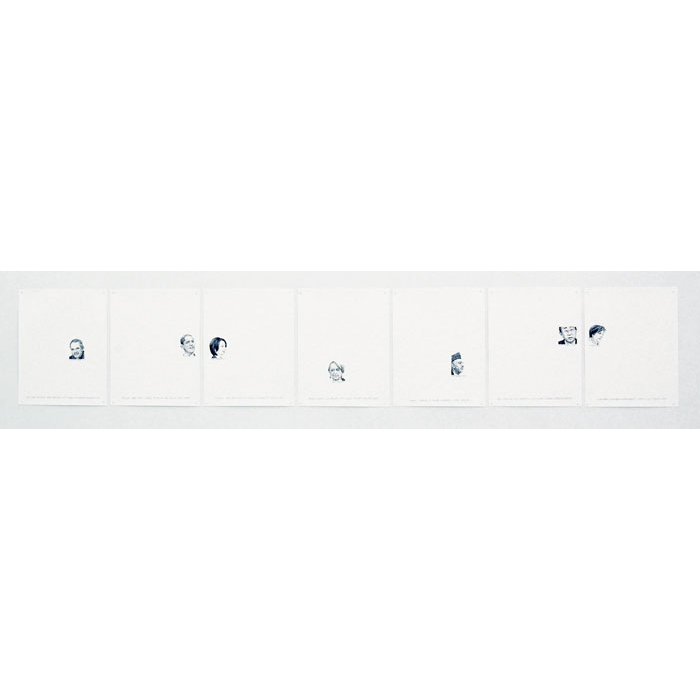 And although she made her last list on January 24, 2007, her artwork still incorporates, documents and orders what comes in her daily life: rituals and situations both quotidian and intimate. 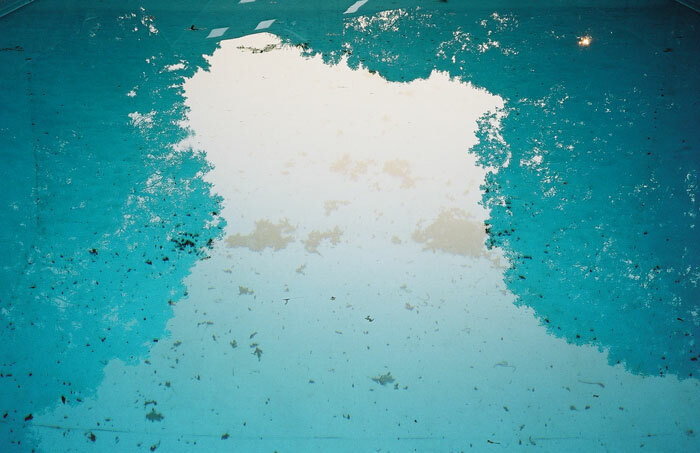 Phelps lets the viewer get closer to her life's progression as well as to its discontinuities. A new mother, she naturally incorporated her pregnancy and her son in her recent works. 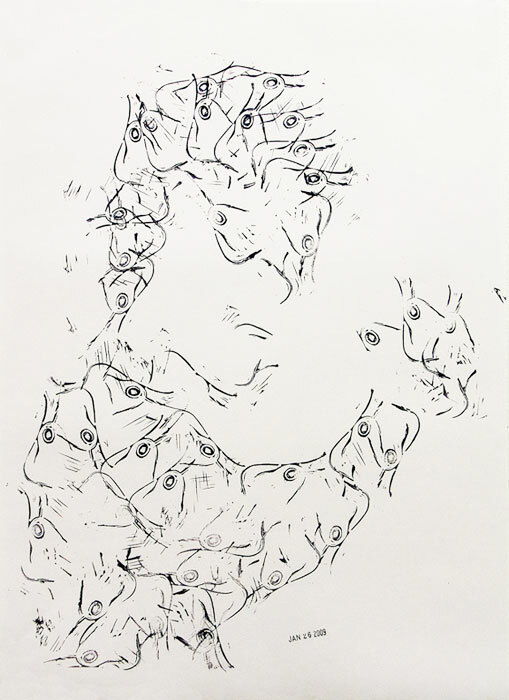 In Orion's hands (2009), she depicts her son's hands during breastfeeding. Each drawing displays, with her delicate line quality, a wreath of little hands. One drawing represents a few days of breastfeeding. Pregnancy (2008), a 15 second fast-motion display of 300 images taken every single day of her pregnancy, allows us to witness the artist standing naked with her stomach growing, in her studio which is in the process of becoming her bedroom. For her, these works remain a way to embrace, perhaps even feel her reality, although it could be a way to mediate experience and create a distance from it. By making visible the invisible, she dignifies the quotidian. Mary Temple has been engaged in Currency an ongoing project for two and a half years. The starting point was September 24th 2007 when Ahmadinejad spoke at Columbia University. Finding the coverage of this event and images in the news related to it compelling, she initiated this body of work. Each day, she chooses a story and an image of a world leader and makes an ink drawing of that person, positioned on a tabloid format sheet of paper. The portrait's position on the sheet varies according to the level of hopefulness the news story brings to her. This project remains open-ended and will continue until the end of this year. It reveals a side of her personal history but also as she puts it "delineates a biased event time line". Here, the personal and political collapses. During the exhibition, Temple will present Currency June 29-July 31: 7 days of the project will be presented in sequence. Every evening, the artist will add a new scanned drawing along with a phrase to be printed by the gallery staff. Each morning the print of the new drawing will be hung alongside the previous one. Adia Millett and Stephanie Diamond will collaborate on a performative piece, You Are Here, created specifically for this exhibition. Every day they will send an assignment with precise instructions to the gallery staff. The performance will alter the pace of the gallery as well as its space, revealing connections and exchanges between the artists, the staff and the public, in an unusual and playful way. Like Mary Temple's Currency project, it will anchor this exhibition in the present time.